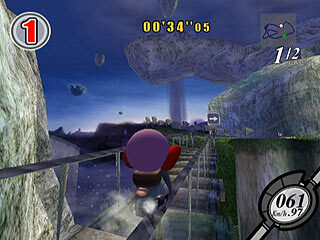 From the earth to the moon ? 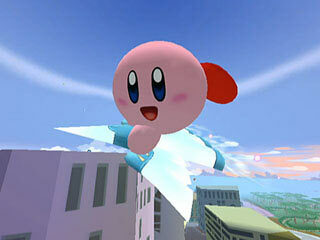 And to infinity and beyond ! 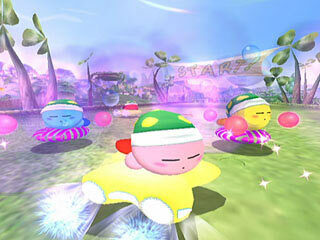 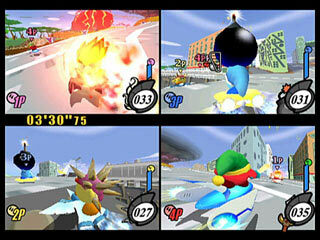 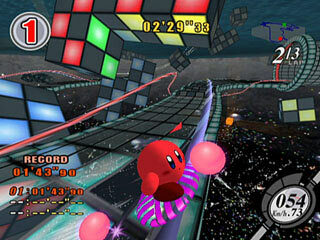 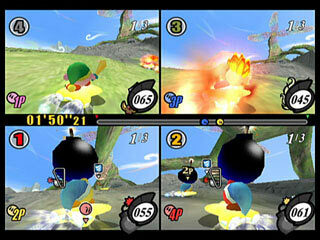 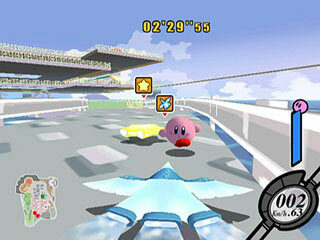 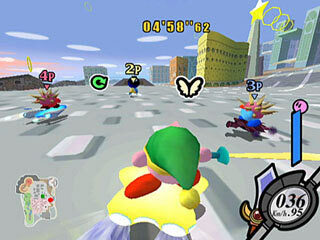 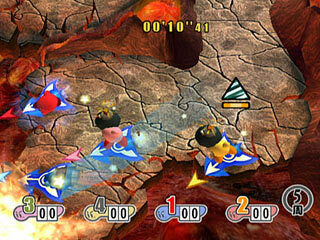 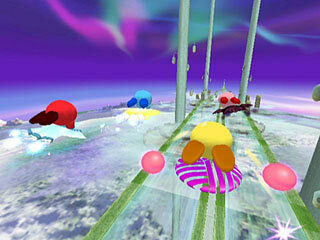 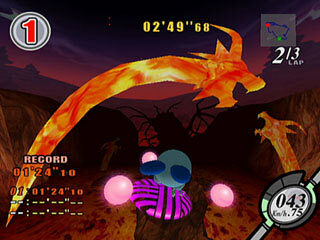 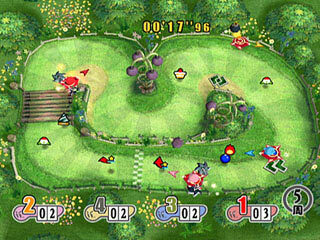 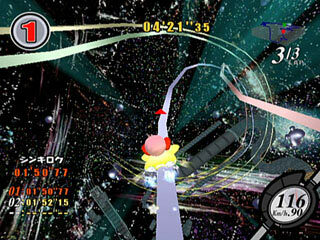 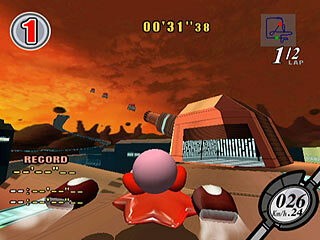 "Kirby arrives on Nintendo GameCube at warp speed in his first-ever racing game. 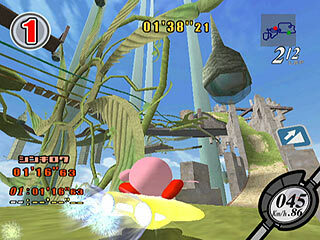 Based on the same principles as games like Super Smash Brothers and past Kirby titles, Kirby Air Ride offers an entirely new approach to the racing genre. 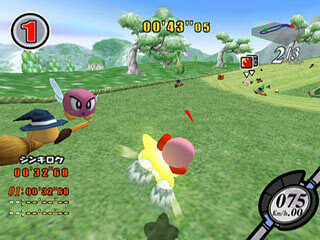 The simple controls that define all Kirby games give Kirby Air Ride instant playability no matter how skilled the players may be." 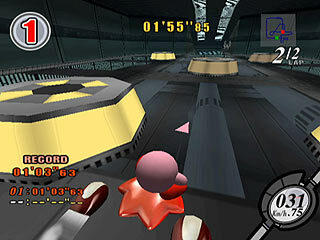 "- Brake and slide around corners with a unique "push" action. 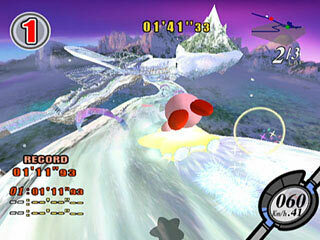 "Charge-up" as you slide, then release for break-neck acceleration! 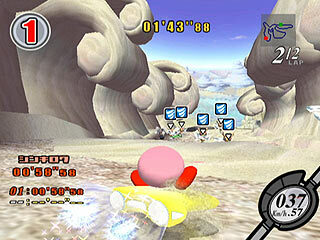 - Race different types of warpstar vehicles, each with different racing properties"
This is a great game! 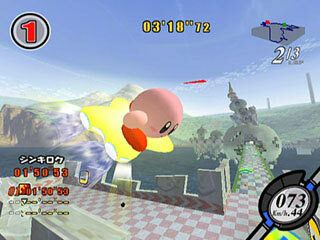 I'd give it 10/10. 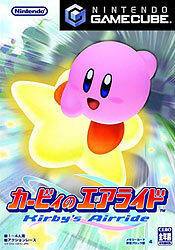 After all who doesn't love Kirby?